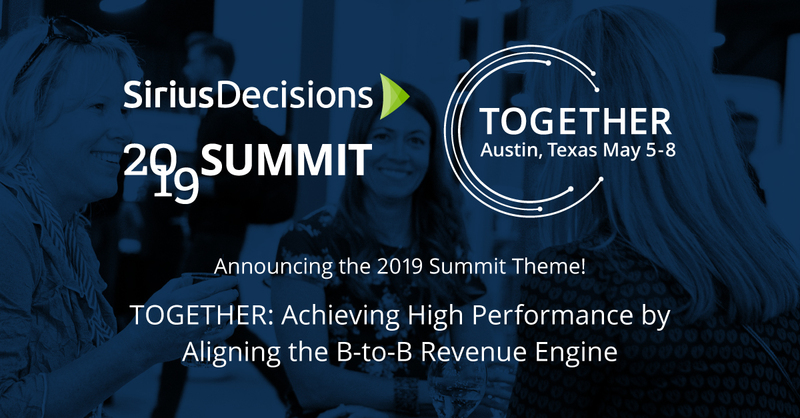 SiriusDecisions is a must-attend event for sales, marketing and product innovators who drive growth in the most well-respected, high-performing companies in the world. And the organizers behind the event have put together an incredible conference lineup. Monday, May 6, 8:30 a.m.
From the program: Throughout his career, hip hop artist and actor Common has used his art as a platform to change people’s perspectives, promote more diverse narratives, and encourage people to movement. At the podium, Common motivates audiences to nurture the dreams of the young, overcome adversity, and address the persistent hope that lives within us all. Compassionate, mindful, and driven to inspire, Common reminds audiences that we all have a voice—and we must speak out. 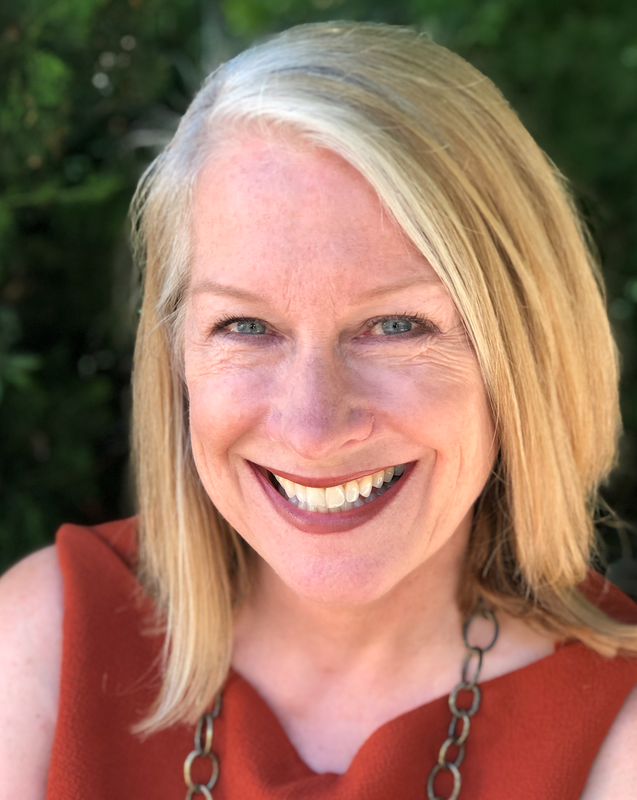 Tuesday, May 7, 1:45 p.m.
From the program: More and more B2B organizations are creating strategic account programs that align sales and marketing around high-value accounts. Too often, however, the planning process required to deliver truly relevant and valuable content and activities to contacts within these strategic accounts is short-changed. This session will outline the requirements for aligned, effective strategic account planning. Tuesday, May 7, 2:35 p.m.
From the program: Not all monsters have to be scary! When it comes to account-based marketing (ABM), there’s a three-headed monster that needs to be tamed and put to work. For successful targeted account-based marketing, organizations must optimize their use of intent, digital advertising and personalization to identify buying signals and interest, engage more relevantly, and ultimately convert their targeted accounts into pipeline and closed revenue. Tuesday, May 7, 4:40 p.m.
From the program: Matthew Luhn is an accomplished storyteller, instructor, motivational keynote speaker, and story consultant, with over 20 years’ experience creating stories and characters at Pixar Animation Studios. Alongside his story work in Hollywood, Matthew works with Fortune 500 companies, entrepreneurs, and other professionals how to craft and tell stories that bridge the gap between business and heart to build stronger brands and business communication. Wednesday, May 8, 1:45 p.m.
From the program: What would you do if you knew what the future held? Chances are, you'd feel more confident about placing bets on changes and investments today, because they'll pay off even more if you make them before your competitors do. In this session, you'll get a first look at SiriusDecisions' predictions for the next three to five years. We'll also share the top trends and opportunities that will impact b-to-b leaders so you can be the first to take action and make the future arrive early for your business. 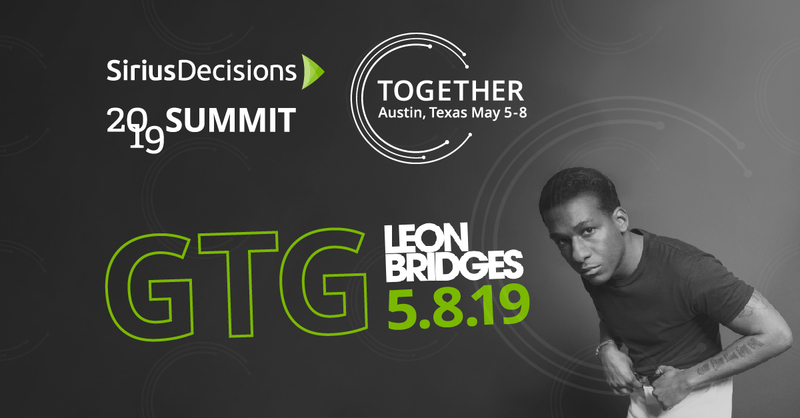 Last, but certainly not least, Grammy winner Leon Bridges will close out the event with a performance at the Green Tie Gala, Wednesday, May 8 at 7:30 p.m. We’ll be there — will you?